Adjustable Height IV Pole mounts to Biodex Ultrasound Tables. The optional IV Pole mounts in a bracket at the head end of the table. 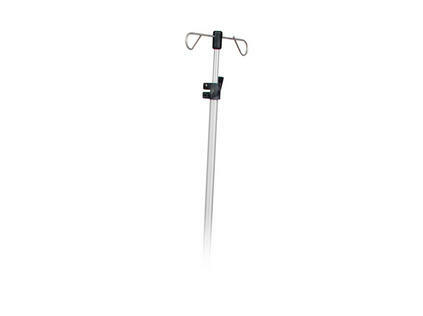 Constructed of stainless steel, this IV Pole is height adjustable.